The limousines now raced across the Potomac and into Virginia. Traffic had subsided going out of Washington, even though it remained bumper to bumper heading into the capital. Hahn mentioned that they were probably about twenty minutes from their destination. Mr. Washington asked Jenson about the book under his arm. Jenson told him that it was a condensed version of US history, which he picked up at the Lincoln Memorial gift shop. Mr. Washington asked if he could peruse it and the talk show host happily complied. George flipped pages as the car approached Mount Vernon. Jenson tapped the president on the shoulder and pointed to the signs for the Washington estate. The General closed the book and took in the sights. “Incredible,” thought George as he was taken back to his childhood, almost 300 years earlier. The greenery of his beloved Northern Virginia blurred past the limo. He closed his eyes and remembered a younger version of himself roaming the countryside with his favorite hound, retrieving the rabbits and birds he shot with his trusty musket. What a beautiful country Virginia was. As he opened his eyes to the new twenty-first century world, he still pictured old Virginia. George had the driver stop the car as he stepped out to gaze down upon the mighty Potomac. He breathed in the fresh air and realized that while America had changed in so many fantastic and sometimes dubious ways, his little part of the world retained some of its pristine charms. His three travel companions stepped out of the car with him. As if on cue, George swung his head to the sound of hooves rumbling quickly toward the car. A man and woman rode by; she on a brown mare and he on a fine white stallion. George froze as the riders disappeared into the wooded trail. That promise brought a hearty smile to the General as he climbed back into the car for the remainder of the drive. Within minutes the car turned into a long, gated driveway. Five hundred feet in front of them stood a house that could best be described as a mansion. The new founders muttered to each other that if Pepper and Anders were involved, it figured that their next destination would be a mansion. The cars pulled up and the men exited. They stood in the circular driveway, looking up and around at the home and the grounds. The trunks popped open and they went for their bags. However, Mr. Washington did not. Instead, the first president began walking in the direction of the Potomac River, which was situated across the expansive side lawn roughly 250 feet from the house. Mr. Washington then walked past Murray and up the walkway to the waiting car. Pepper and Hahn were in the backseat talking amongst themselves. Mr. Washington took a seat, followed by Murray, and the door closed. He put the two folders on the seat next to him. The General had been looking back at the house from which he had just emerged and turned his head toward Pepper. “My name is now Frank Walters and you will address me as such. Frank Walters, candidate for President of these United States.” Hahn looked at his leader’s expression and knew instantly that there was no turning back. The plan devised was to introduce their candidate on a local radio show in Charlottesville and follow it up with Josh Anders’ national show a day later. The plan hinged on positive feedback on the local show, a prospect that gave everybody a hint of worry. Murray noted that the only person that did not seem nervous was Mr. Walters. As he eavesdropped on Anders and Hahn’s conversation from the kitchen, he noticed a focused Tim Jenson walk past the doorway and up the staircase toward his bedroom. Jenson had just finished packing to go to Charlottesville. Like Murray, he had not been home in the two weeks since the July 4th weekend. Tim couldn’t wait to get back to his familiar bed and day job. Still, he sat on the edge of his bed, staring wistfully at the lush lawn overlooking the Potomac. He realized that the most eventful, incredible fortnight of his life was coming to a close. “Fortnight.” Funny, Jenson thought. Now he was even thinking in “George Washington” language. It was very clear to all the men that the candidate, now referred to as Mr. Frank Walters, had rubbed off on them as much as the team had on him. Jenson could not help but notice how his confidence grew over these two short weeks. He realized it was his new mentor who had shown him how to “tell it like it is” and defend his beliefs. As a radio host, he knew how to stick to his guns while talking to strangers on the air. But the master instilled in the team the belief that their constitutional views were exactly right and that they would never need to apologize for their conservative opinions. He would never again back down to anyone in politics. 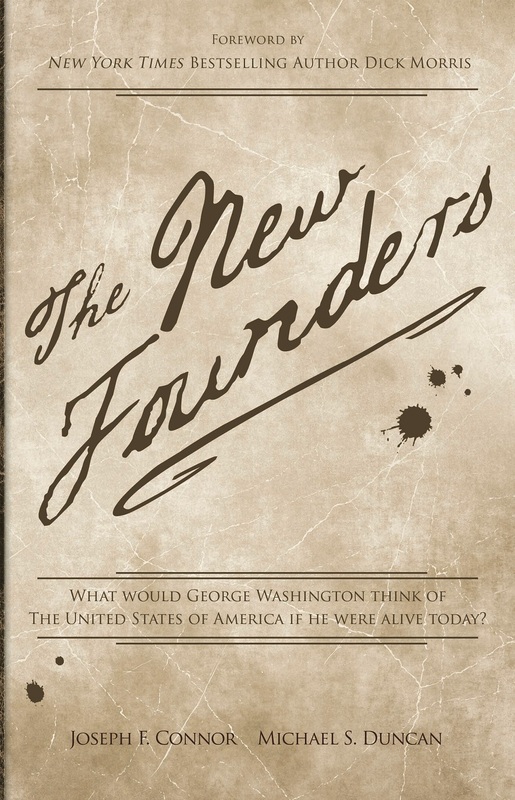 Neither would the other new founders. This was a big step for modern conservatives, who always appeared to be on the defensive, absurdly apologizing for what was right. Hell, thought Tim, we even had a former president who apologized for conservatism in his official campaign pitch; “Compassionate” Conservative. Those days were over. While Murray was heading to Charlottesville with Walters and Jenson, he would not be going home. He hoped to at least see his wife and son while in town but it was not to be. Dottie had texted him that she was going to a tournament in Blacksburg with Todd’s baseball team. Some of the parents rented a few hotel rooms and she thought it would be a good idea to stay with Todd for the few days there. She promised to call from the road. Over the previous week, Murray had thrown himself headlong into the campaign with twenty hour days and had not talked much to Dottie or Todd. He felt detached but exhilarated by his new calling and surrogate family. Walters was at times an arrogant and a demanding task master who did not always appreciate Murray’s contributions. But to Murray, the prize was so monumental that he willingly overlooked the thankless long hours and time away from his family, at least for now. He even applied for a leave of absence from school to stay with the campaign if need be. He may have alienated his family, but Murray was in for the long haul. Besides, Dottie never had a problem speaking her mind. If she was not pleased, she had not said anything and he was not about to poke that bear. His thoughts were interrupted by the dull thumping and a quick shout of a fast approaching horseman. Smiling widely, Murray caught the image of a mythical hero on the back of beautiful white horse. Murray couldn’t contain his emotions. 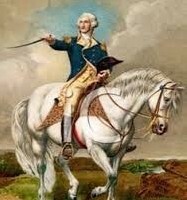 He choked back tears as General George Washington rode again in a full sprint past the secluded house. Murray looked on in awe as George, now “Frank Walters,” disappeared around the far end of the house. He kept telling himself that this was why he was here. The history teacher could not believe how privileged he was to be a part of all this. He did not dare ask where it would end, but he knew that as the twenty-first century Madison, fate would have great things in store for him. He couldn’t look too far into the future however. The next few days and weeks were as far as he could venture. Murray didn’t know exactly where all this was heading, but he was going to see it through to whatever the end would be. He did know, however, that his next step would be monumental. Skip Keaton, Jenson’s producer, was on his way to pick them up. The team had decided to test Walters’ political savvy and erudition by unveiling him the following day on Tim Jenson’s local radio show in Charlottesville. Tim’s station had begun promos for Monday’s show touting his exclusive interview with the so-called Lincoln Continental during which his identity would be revealed. It was time the public got to meet Walters but they had to be sure his identity would be air tight. The General had devoured the personal life history of the former Frank Walters with the same zeal in which he studied the political topics of the day. They were ready. If all went well as expected during the hour with Tim, Walters would board Pepper’s private jet to Boston for a national spot with Anders on Tuesday. The men hoped and expected Frank Walters’ campaign to take off from there. Murray watched Walters expertly dismount his fine horse. Keaton had just arrived. It was time to go. Throughout the numerous internal debates and discussions with the new founders over the last two weeks, Walters had become an expert on matters of foreign and domestic policy. Understanding the nature of humanity as he did, he didn’t have far to go. 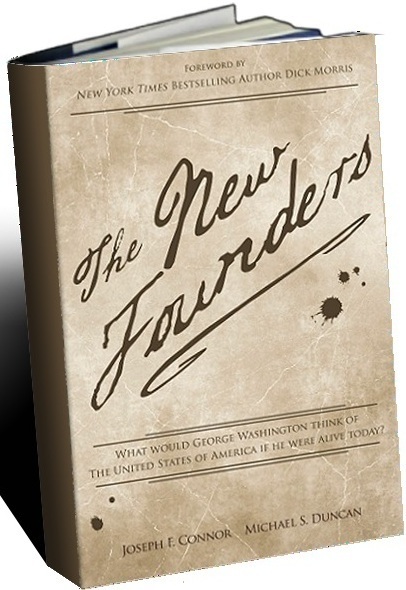 The last two weeks had confirmed to Walters, what the new founders innately knew and proved. Times may change but people don’t.